We are very pleased to share with you the outcome of our recent OFSTED inspection. 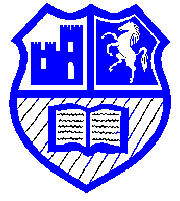 The Inspection has found that Otford Primary continues to be a “Good” school with only one area of development identified. This is a significant achievement due to the current Ofsted Framework being considerably more challenging than the previous one used to inspect the school in 2013. Please do take some time to read the report as it is very positive about the school. We have been informed that this report will go live on the Ofsted website from Monday 11th June 2018. The Inspector recognised substantial improvements, made particularly over the last 18 months, in the quality of teaching and learning, improved pupil progress throughout the school and the extended and improved curriculum. The inspection findings reflect the huge commitment of the school’s staff, Governing Body, children and parents, to make Otford Primary the best it can be and ensure that all pupils achieve the best possible outcomes. We will carefully consider the inspector’s recommendations on how the school can improve further. Our focus in the weeks and months ahead will be on how we continue to raise standards, striving to ensure that Otford is an exceptional school for all; this will be a priority for the Governors and senior management. We would like to thank all parents and carers for your continued support. It is very much appreciated. Department for Education School Performance and KS2 results. Parent View Parent View gives you the chance to tell Ofsted what you think about your child’s school.